Get the natural look of wooden flooring with the added day to day advantages of luxury vinyl flooring (LVT). Stunning wood effects are painstakingly recreated across our ranges with beautiful depth of colour. Get the natural look of stone flooring with the added day to day advantages of luxury vinyl flooring (LVT). 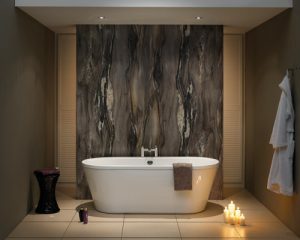 Stunning stone effects are painstakingly recreated across our ranges with beautiful depth of colour. Our kitchen & bathroom wall and floor tiles celebrate all that is best in traditional or contemporary interiors. With a choice of porcelain, ceramic, glass, mosaic, stone and decorative tiles, we can help turn your design into reality. Tough, beautiful and durable – solid wooden flooring can last for a lifetime. One of the most desirable flooring choices, solid wooden flooring can bring a real sense of character to your home, with the appearance actually improving year by year. Solid wooden flooring is easy to clean and will instantly add value to your home. Natural stone has become increasingly popular for use in home improvements in recent years. Creating stunning appeal, stone is luxurious, hardwearing and versatile. Stone flooring and stone tiles can be used in bathrooms and kitchens. 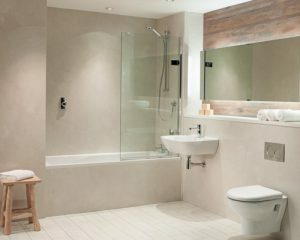 The natural colour of stone provides a calming sense with different organic textures, it can complement all homes whether modern or traditional. You can view our complete range of flooring and tiles at our showroom. 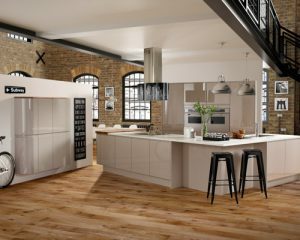 We can help advise you on the perfect product to give your kitchen or bathroom that perfect finish. Contact us today to book a free, no-obligation consultation.